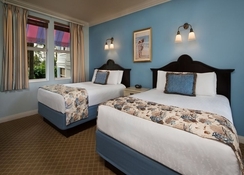 Set in a picturesque location close to Walt Disney Word, the Old Key West Resort is perfect for couples and families who want a magical experience in Orlando, Florida. 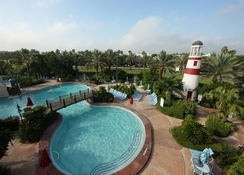 Located in an island hamlet with palm trees and waterways, this unique accommodation offers a great place to explore all the sights in Orlando while offer a range of amenities for a truly comfortable stay. 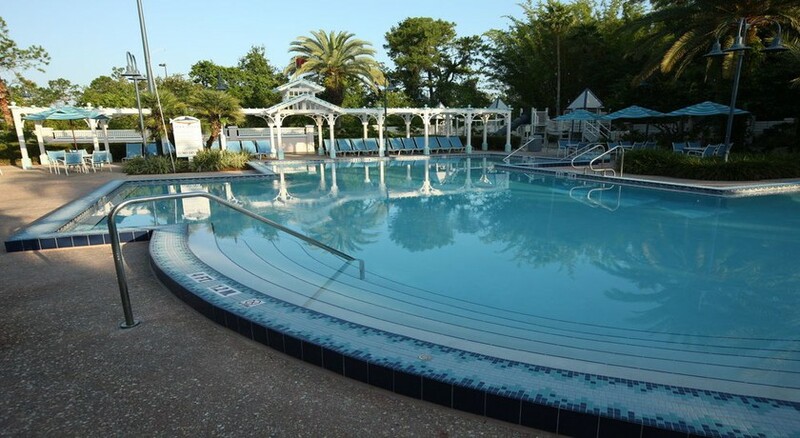 The Old Key West Resort has several on-site dining options, swimming pools, fitness centre and spa and you can travel to Disney Springs via water boat. Providing close access to SeaWorld, Universal Studios and of course Walt Disney World, this is a great place to enjoy a memorable holiday in Orlando. 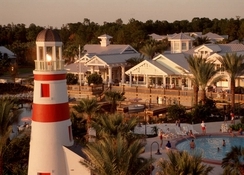 Disney’s Old Key West Resort is only a mile from Disney Springs and there is a water boat service that can take you there as well as to Walt Disney World. Other main attractions in Florida are easily accessible which includes Universal Studios (11 miles), SeaWorld (7 miles) and for any shopaholics the Lake Buena Vista Factory Stores is 4.3 miles while the Florida Mall is just 13 miles away too. The Orlando International Airport is 20 miles from the property and there is complimentary transportation to and from the airport. 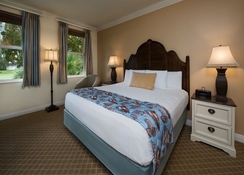 There are 762 studios and villas at Disney’s Old Key West Resort and they all come with air con, free WiFi and either a full kitchen or a kitchenette. 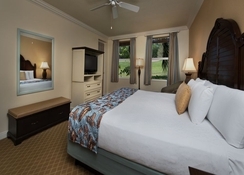 Deluxe Studios have views of the water, woodlands or Disney's Lake Buena Vista Golf Course and sleep up to 4 adults. There are also 1 bedroom villas that can sleep up to 5 people and 2 bedroom villas that can sleep up to 9 people and accessibility options are available. 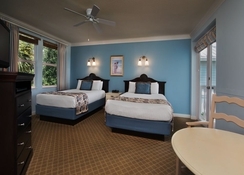 The accommodation at the Old Key West Resort is suited for couples, families and larger groups. There are several dining options on offer at the property. Olivia’s Café is open for breakfast, lunch and dinner and offers home-style cooking while you can grab a quick snack or dessert at Good’s Food To Go. There is a poolside bar that offers a selection of drinks, pizza’s, sandwiches and hot dogs and the Gurgling Suitcase Libations & Spirits is the on-site bar that also provides a selection of snacks too. There is also a pizza delivery room service available. Aside from being next to Disney Springs and within the Walt Disney World Resort, there are a host of things to do at the hotel. The Lake Buena Vista Golf Course is right next door while there are also several swimming pools, waterslides, fitness centre and sauna, tennis and basketball courts, outdoor movies, jogging trails and activities for kids. The resort is close to many shopping centres including the Lake Buena Vista Factory Stores and the property is well situated for you to travel to other main attractions such as Universal Studios and SeaWorld.